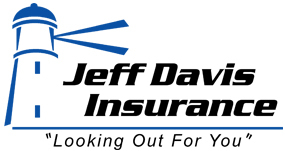 At Jeff Davis Insurance, we believe in providing quality service from licensed professionals you can trust. That’s why our agency is the best location possible when it comes to finding affordable and comprehensive Restaurant Insurance in Shreveport and throughout Louisiana. To learn more about your insurance options, call us at 337-824-4455 Monday through Friday before 4:30 PM CST. Please note that our office closes from 12:00 to 1:00 PM for lunch. Once you’re on the phone with an agent, you can request free restaurant insurance quotes or ask whatever questions you may have regarding Louisiana Restaurant Insurance. In the last few articles, we’ve taken a break from the main storyline of Pete Ross’ restaurant to tell the related side-story of “Big” George Jowlsby. When his bar was served a lawsuit for liability in a drunk driving accident, George discovered that his bar does not have liquor liability insurance coverage. He called up his former criminal defense lawyer who suggested George hide his assets lest they be taken by a court decision. Heeding Marky’s illicit advice, George decides to hide his assets. He calls up his girlfriend, Veronica. “Well what are you going to do for me, Georgie?” Veronica inquires. Veronica likes the sound of that, so George withdraws his assets, leaving only $5,000 in his business account and $10,000 in his personal savings account. He hands over the money to Veronica and instructs her deposit the money in her own account the next day. “Now make sure you deposit all of it first thing tomorrow, alright?” George reiterates. I’m not going to accompany you so it don’t look fishy. And with that, George drives off to go home. Once George is out of sight, Veronica takes the money to the airport, flies to South Florida, and books a six week cruise for one. Stay tuned to find out what happens next time. Shreveport Restaurant Insurance – Why Delay? Call Us Today! There is absolutely no need to delay. 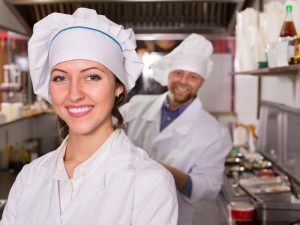 We can provide you with quotes on Shreveport La Restaurant Insurance from multiple companies for no cost. You are under no obligation to purchase insurance coverage after receiving a quote.